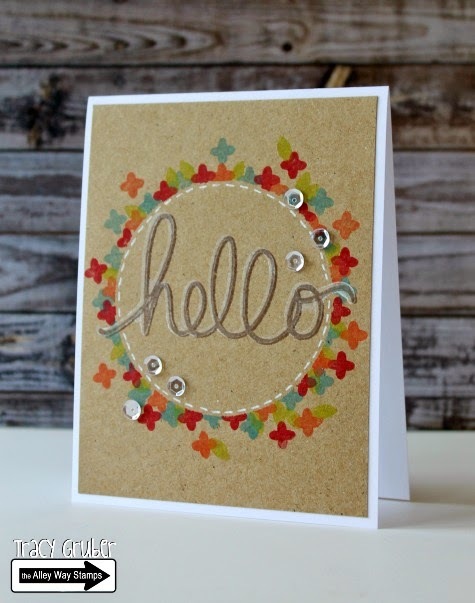 Chrissie here, using BIG Chatter and Tri-Me to create this card. I was inspired by the patterns in the picture. Hi it's N@ Ali with my take on the challenge, I was inspired by the muted colours and flash of light so I used grey and gold to try to replicate the mood. The sentiment is from Rock Solid and the images from Livin' Fossils, both sets from this month's release. Hello! 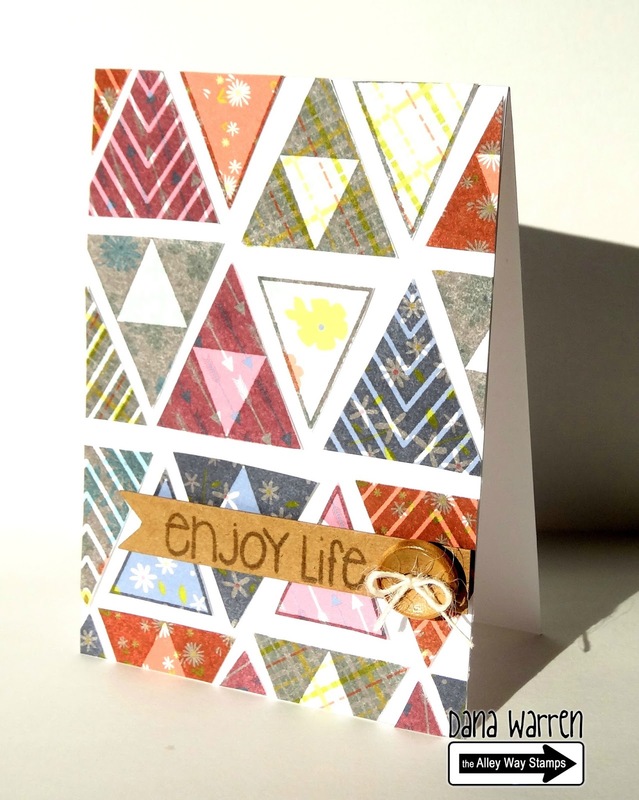 It's Tracy here and I was inspired by the bright colors in the blanket for my card. I used the BIG Chatter set for both the flowers and the sentiment. Hi! Dana here! 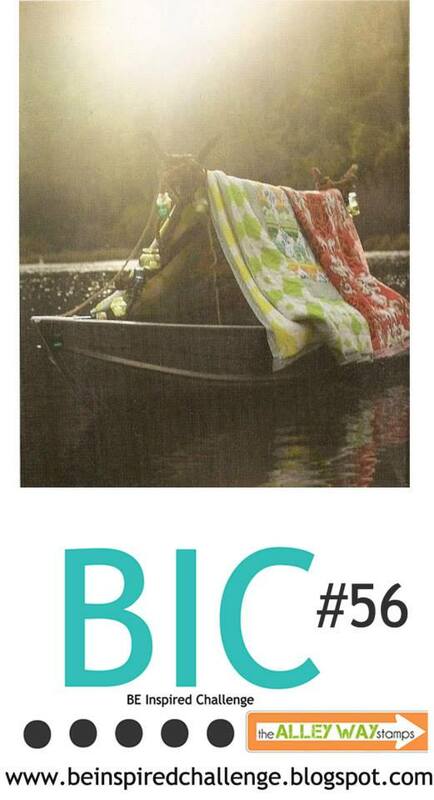 I was inspired by the rectangle of the tent and the quilt looking fabric cover of the tent! I used Tri-Me and some pattern paper to make my card. 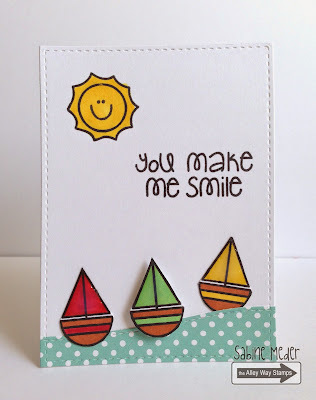 The boat is from Got it Covered, the sentiment is from Speak Easy, the fun sun is from the new set Prehistoric and the smiley face is from Tooty Fruity!